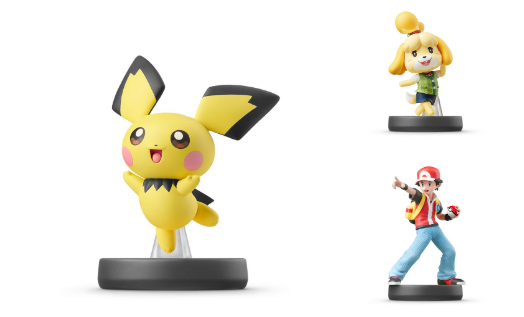 Three new amiibo are set to release later this Summer with Pichu, Isabelle, and Pókemon Trainer finally getting release dates. The trio will release on July 26, three months after the last set of amiibo released. Ken, Daisy, and Young Link were the last released amiibo in the Super Smash Bros. Ultimate series. Fans have known about the existence of these amiibo for quite some time now, with the figures being shown off a few months after Ultimate released in December. After patiently waiting to get release dates, however, Nintendo fans now know when they can try to get their hands on the next fighters. With the confirmation of the new amiibo, there are still a ton more Ultimate figures left to be released sometime in the future. We are still yet to get a release date for Squirtle, Ivysaur, Incineror, Snake, Simon and Richter Belmont, Chrom, Dark Samus, and the newly released DLC character Joker who is set to come out tomorrow as paid DLC. With the release dates now set for these amiibo, though, it might be worth keeping tabs on your local stores for pre-orders. If previous amiibo lines are anything to go by, they are sure to sell out fast.